The National Oceanic and Atmospheric Administration (NOAA) issued their 2014 Atlantic hurricane season outlook this week. Their Climate Prediction Center is forecasting a near-normal or below-normal season. Good news for our neighbors – but that doesn’t mean we’re out of the woods! According to the NOAA report, the main driver of this year’s outlook is the anticipated development of El Niño this summer. 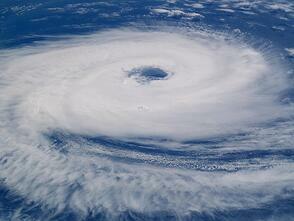 El Niño causes stronger wind shear, which reduces the number and intensity of tropical storms and hurricanes. It can also strengthen the trade winds and increase the atmospheric stability across the tropical Atlantic, making it more difficult for cloud systems coming off of Africa to intensify into tropical storms. After helping many businesses get back on their feet after natural disasters, Wilmot has seen first-hand the effects a storm can have on a company’s operation. “The companies that take Mr. Nimmich’s words seriously and prepare for pending disasters, are the ones that feel less effects from the disruption and are back to normal, or as close to normal as you can be after a catastrophe,” says Kathy Wilmot, VP of Wilmot Modular Structures. That is why this time of year Wilmot promotes its Emergency Response Program. (http://wilmotmodular.com/disaster-planning.aspx) “The Emergency Response Program educates our customers on the steps they should be taking to prepare for a disaster,” explains DeWitt Bauer, Marketing Manager for Wilmot. He adds that “Wilmot also provides a Disaster Planning Guide (http://wilmotmodular.com/images/pdf/Disaster-Planning-Guide.pdf) as well as links to FEMA and MEMA at www.wilmotmodular.org.